Going from 3 to 6 cats was not a quick decision, but it’s been one of the best decisions we ever made. 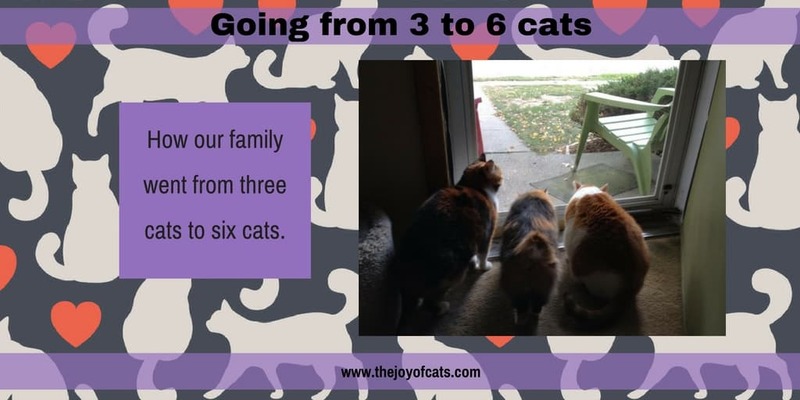 Learn how we went from 3 to 6 cats! See the contents of the December 2016 CatLadyBox. I do not recommend the toy with the ribbon or any other toy with ribbon. Buster had an incident with it! 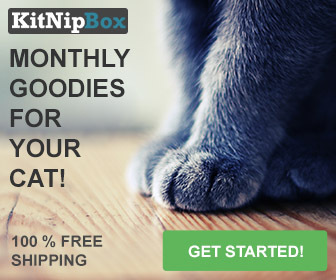 See what’s in the November 2016 Meowbox! Read my review, watch the unboxing video and see more pictures of the cats with the toys. CatLadyBox Unboxing and Review November 2016. Watch the video and read the review. See a picture of what I made with the cat head cookie cutter! 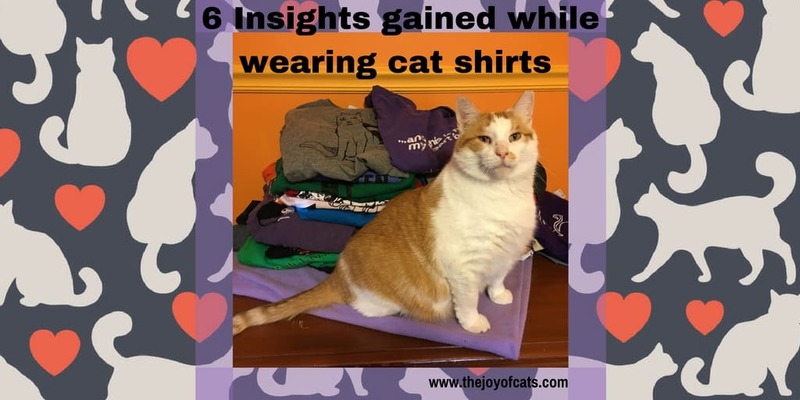 6 Insights gained while wearing cat shirts for 31 days in October of 2016. My favorite insight was that cat shirts created opportunities for more cat chats! KitNipBox November 2016 Unboxing and Review. Watch the video or see pictures in the post. My cats have liked the fuzzy ball toys the most out of this box. 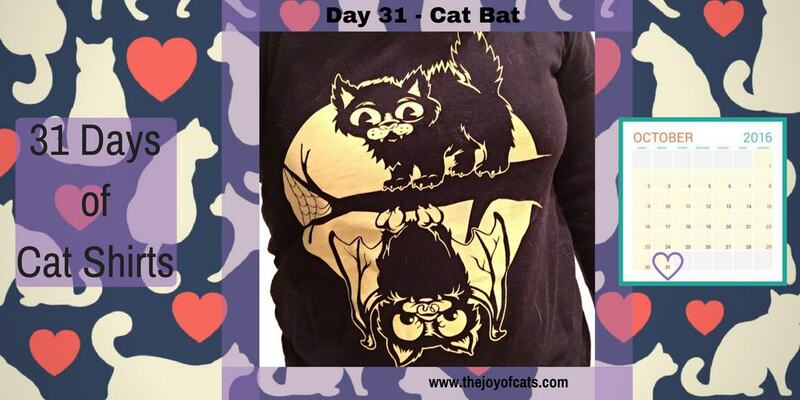 Today’s cat shirt is the Cat Bat shirt from Six Dollar Shirts. The perfect shirt to wrap up the 31 days of cat shirts since today is Halloween. 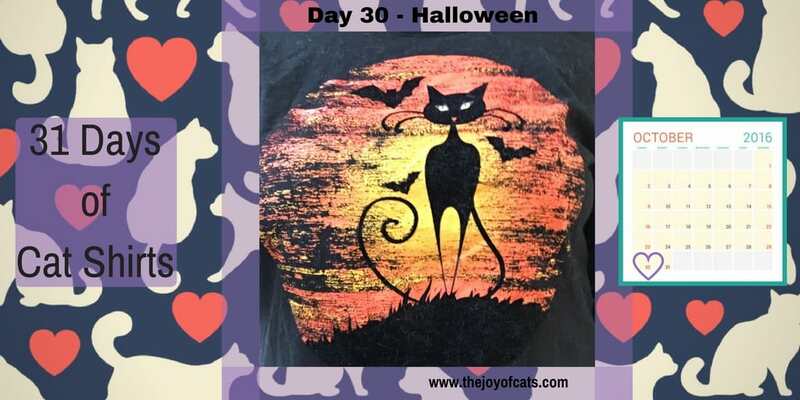 This Halloween themed cat shirts is one of my all time favorite cat shirts! I choose it for today since tomorrow is Halloween.